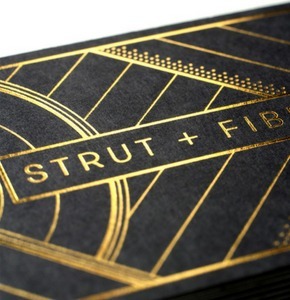 Digital printing company Strut and Fibre has handed a digital marketing brief to Manchester-based Six & Flow. Strut and Fibre, which launched nationally in September, is aiming to provide a bespoke alternative to more mainstream competitors such as Moo.com and Vista Print. The company has already enlisted a set of well-known design ambassadors, including Barcelona-based Hey Studio, East London creative network Bread Collective and lifestyle brand agency Delight. Six & Flow will implement a digital marketing campaign to accelerate the growth that Strut and Fibre has already seen. “First impressions count for a lot in business, and Strut and Fibre believes that good design and great quality really makes a difference,” says Rich Wood, MD of Six & Flow.